We have an amazing card kit for you this month! It is such a bright, cheery, and happy kit! 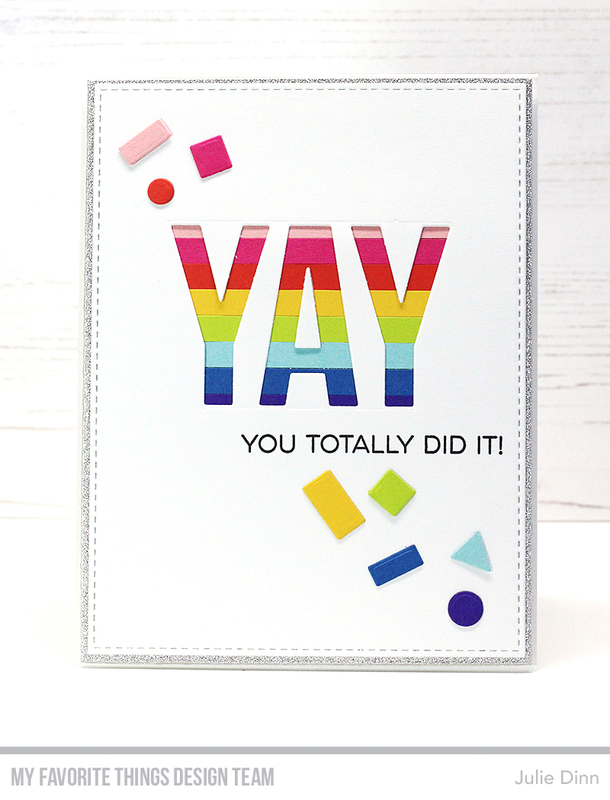 The Yay for You Card Kit is so fabulous, you are going to love it! The new kit will be available on Tuesday, Janaury 23 at 9:00pm EST. I die-cut the large YAY on Smooth White card stock and I placed a rainbow of colours behind the white card stock. I finished off the card with a sentiment from the Yay for You stamp set, and a few pieces of confetti. You made this a "fun" card with all that color. Great job! Love the colors against the white. Yay for you! I love the bold colors and simple design. Wonderful to keep on hand to celebrate milestones in our grandchildren's lives! Thanks. Looks like a card for a teen. Yay! Love this clean, colorful look with the hint of sparkle around the edge. Love all of the colors, it just makes me happy! Love love love the stripes!